May 1, 2011; Medallion PR Inc. I'll start by saying that zombies will never be my paranormal creature of choice. Not that there's anything inherently wrong with zombies, but while I can imagine kissing a vampire (a tame one), fairy, or wizard, I have no desire to touch lips with a zombie. 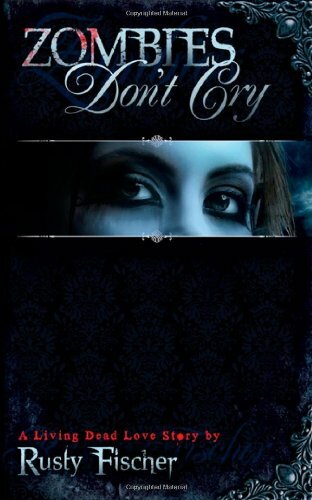 My distaste for zombie-kind colors my review somewhat, but I really enjoyed Zombies Don't Cry. 1. Maddie: I loved the main character. She's a very normal girl. It's refreshing to see someone who isn't overly angsty. She's the type of girl who dies, comes back to life as a brain-eating zombie, and still tries to keep her life somewhat normal. No endless sobbing streaks or vengeful rampages. Instead she goes home, goes to school, makes new friends, keeps the old, and tries to avoid her enemies. 2. Side Characters: I loved Dane and Chloe, two zombies who attend Maddie's school and take her under their wing. They're hilariously deadpan about almost everything. I also love that they're so nonchalant about most of their lives. It made the transition easier for Maddie and the reader. Stamp, Maddie's crush, is a sweet guy too. Very normal. Kind of boring but in a likeable way. Dahlia and Bones, the bad guys, are somewhat cardboard but functional as villains. 3. Zombies: Fischer stayed close to traditional zombie lore. They do indeed have to subsist upon brains. Fortunately, animal brains work as well as human brains. The zombies look dead. Extraordinarily pale, yellow teeth, wounds that don't heal, yet they have supernatural strength. Unlike standard zombies, Fischers zombies have a government of sorts. There are rules that you must follow to stay in the zombies' good graces. I loved the idea behind this. Unfortunately, I thought the book explained just enough to whet my appetite, but not enough to fill me up. Perhaps more would be explained if there are follow-ups. 4. Romance: This book is billed as a love story. There is definitely romance in this book, but it wasn't the main element. The story is framed around romance. Maddie dies on her way to a party to meet her crush Stamp. She and Stamp flirt and banter throughout the book working their way to something more. Enter boy two! Dane, one of Maddie's zombie mentors, is super nice and funny. Maddie likes Stamp, but does she like Dane too? This of course can be a whole plot unto itself, but I found the friendship and zombie lore far more interesting than the romance. Still, the romance was cute. I prefer books with a more developed romance story, but I think adding more to this book wouldn't have fit well with the plot. 5. Horror/Humor: Let me explain why I'm combining these inherently different categories. There is definitely horror in this novel. There is violence and, obviously, death. Maddie is in great danger from the Zerkers as are her friends. But I thought the horror was campy. I'm assuming this was intentional. It reminded me of a 1950s zombie movie. You're shocked at the bad things that are happening, but they're so silly that it's funny too. It's hard not to laugh at a potentially deadly zombie who scream "Eat Brains! Brains, eat!" Zombies Don't Cry is, on the whole, a fun book. It was a bit silly, but written well enough that I felt connected to the characters and the story. A bookish alternative to the classic zombie movies. I love anything with zombies in it. This is the first time I've heard about this book . . . so thanks for sharing this review. I don't think zombies would be my creature of choice. I love reading about witches and angels. Great review! thank you for the review! Actually, it is the first time I hear about this book. I'm not a Team Zombie fan either. While it does sound interesting, I really don't think this book is for me. I love how you broke down your review, Alison. Zombies are not my supe of choice either and I definitely wouldn't put my lips near their rotting mouths, but a zombie government sounds pretty fun. Still, I don't know how much I could support a zombie romance. I suppose it could be kind of refreshing since the guy would be after the girl for her brains instead of her body, but still. I'm always difficult with zombie's story. I think it depends on the books. This one sounds nice, it may be a book I would like too. Your review makes me want to look for this book, it's really intriguing. Thanks ! I have little experience with zombies. They just sound gross, but since I feel it is my duty as a well-rounded reader to remain "well-rounded," I must find a zombie book to read. This sounds as good as any. I like Zombies, but usually the bad kind. Although I have been running across a couple good ones about 'Good Undead' As far as YA ones go- Warm Bodies, was awesome sauce! This one sounds like it reminds me of a lot of YA around where it hits something, but doesn't give you the full bang. i needs to read this book. It got lost on the book tour I made! Boo! I loved your review!! This book was on inkpop! I read it. That's so awesome. Um, traditional zombies are people under the spell of powerful Voodoo sorcerers. You're mistaking pop culture, post-"Night of the Living Dead" zombies for traditional.